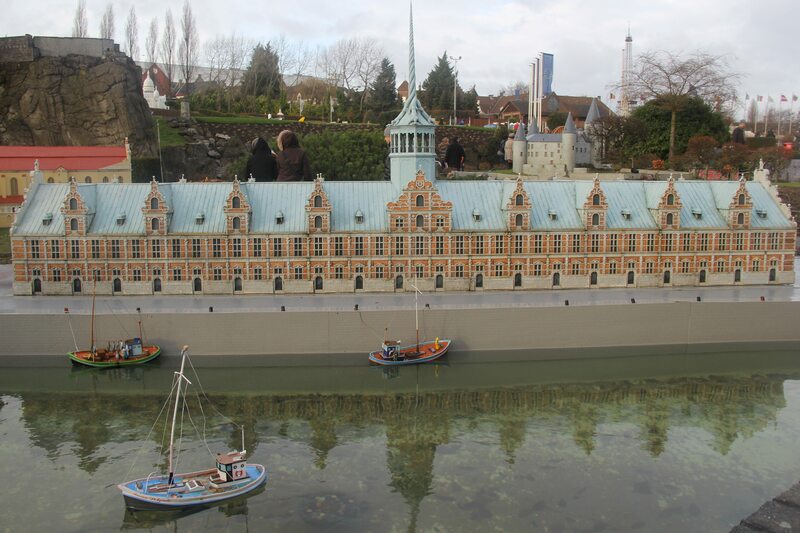 Mini-Europe: Welcome to Belgium (And The Rest of Europe) | Nam Writes. Our favorite activity in Brussels wasn’t actually in the heart of Brussels. 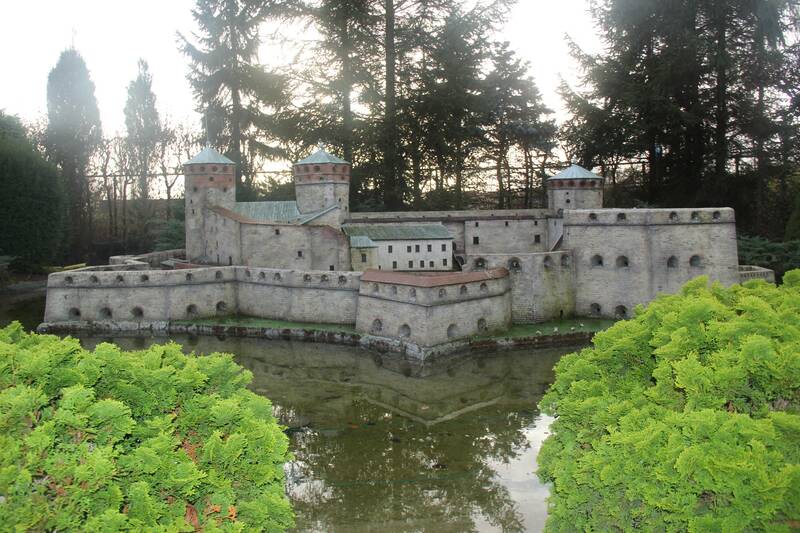 After checking into our hotel, we took the subway to the outskirts of the city to Mini-Europe. 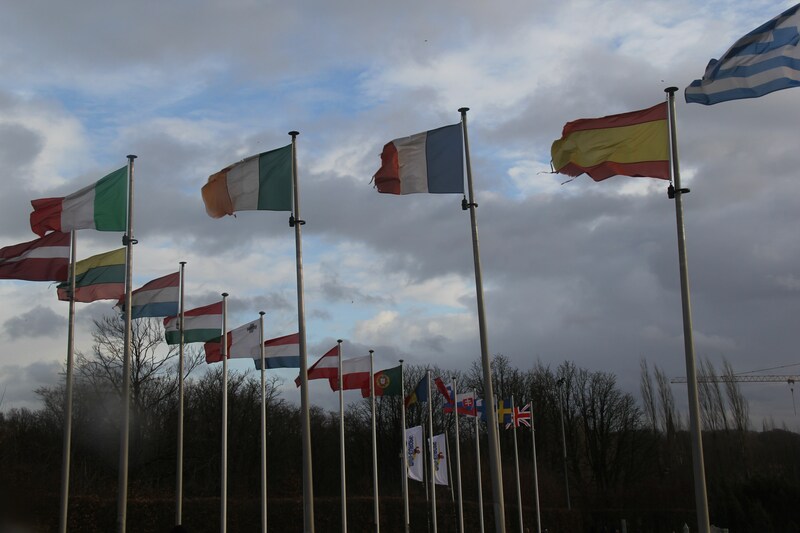 The entrance to Mini-Europe with the flags of all the EU countries. The Exchange is a 17th-century Renaissance building in Copenhagen, Denmark constructed to give new impetus to Danish economic life. 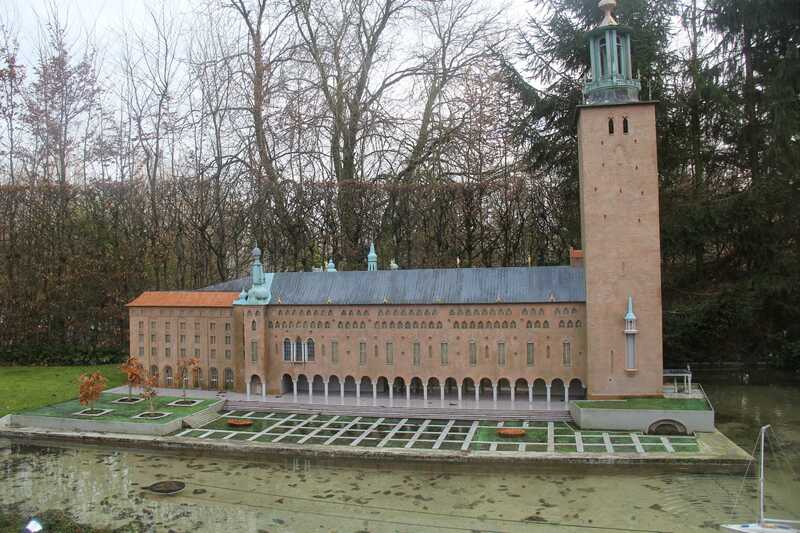 Stockholm’s city hall building in Sweden was inaugurated in 1923. The Castle of Olavinlinna in Finland was built in 1475 and formed part of the frontier defenses against Russia. Tallinn in Estonia. I love the Coca-Cola truck driving through. 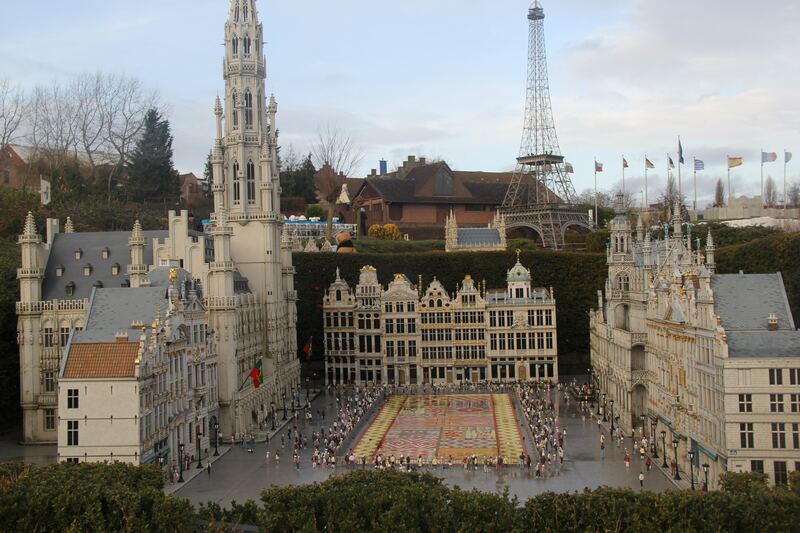 The Grand Place in Brussels, Belgium is the town’s famous public square. In contains the Gothic style city hall, museums, and other government buildings. 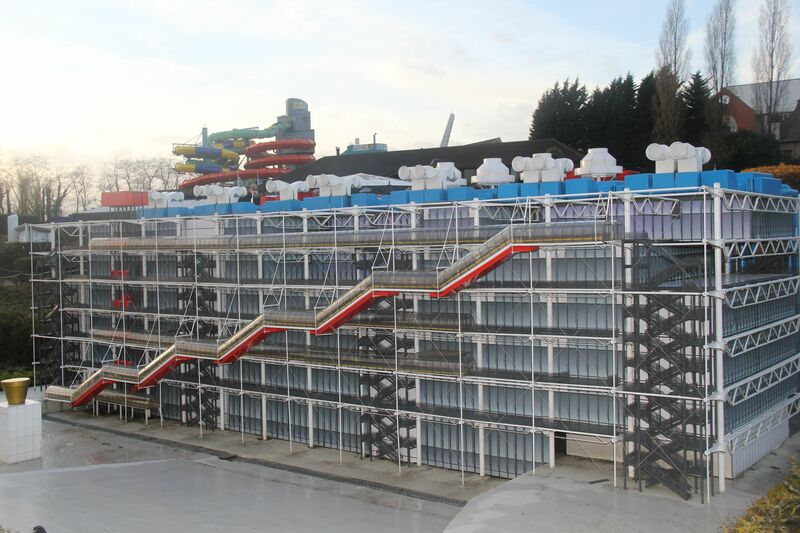 Pompidou Centre – Paris’ famous modern art museum. 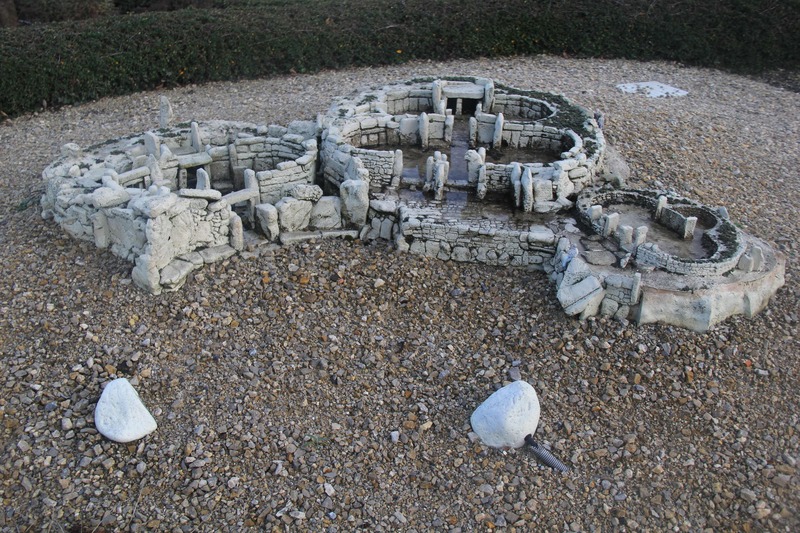 It was fun to see models of places we had just visited in France. 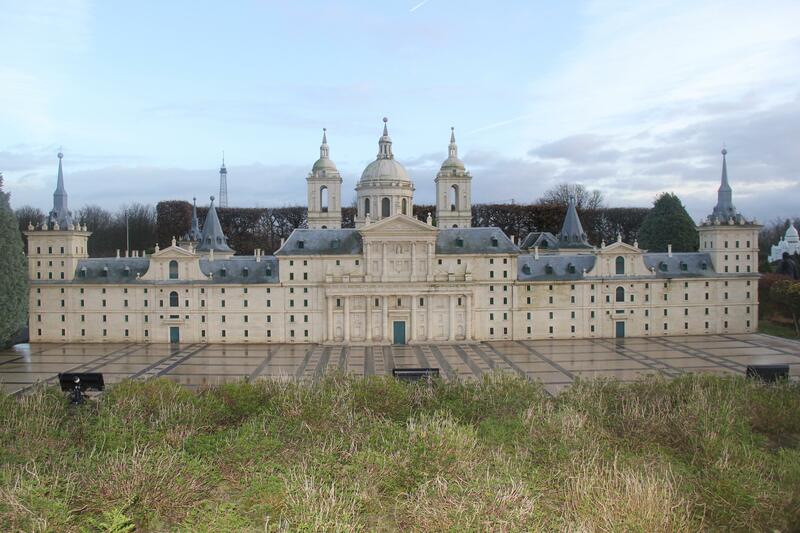 El Escorial is the royal monastery Philippe II built to commemorate the defeat of the French troops in 1557. It is located 30 miles from Madrid, perched high in the mountains. 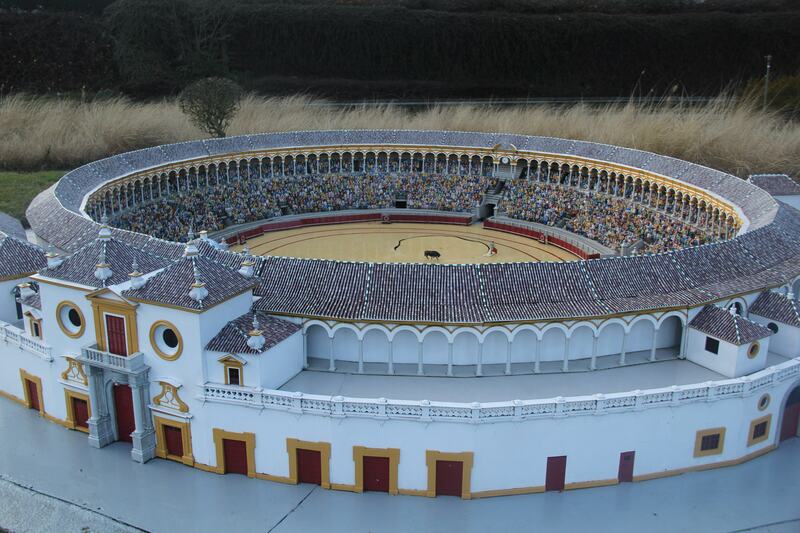 Plaza de Toros is the famous bull ring where some of the largest bullfights are hosted in Seville, Spain. There are 6,000 people portrayed in the arena. 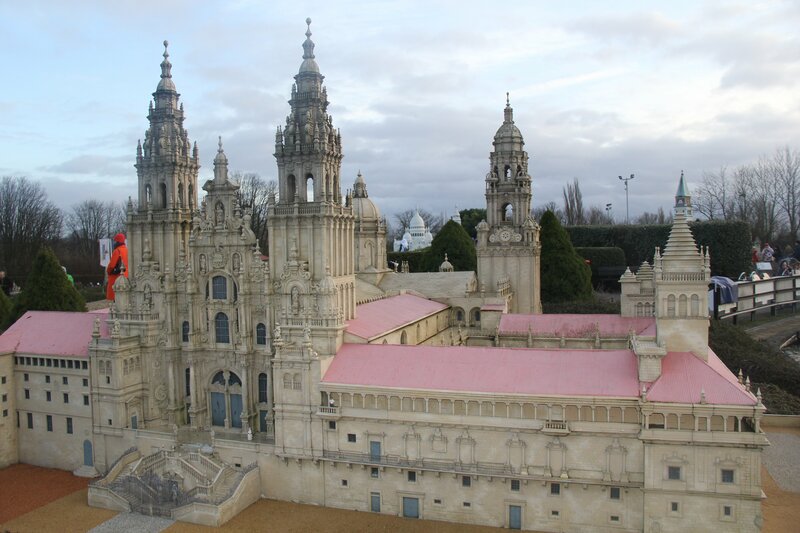 The Cathedral of Santiago de Compostela in Spain is built on the site where the remains of the Apostle Santiago el Mayor were found. 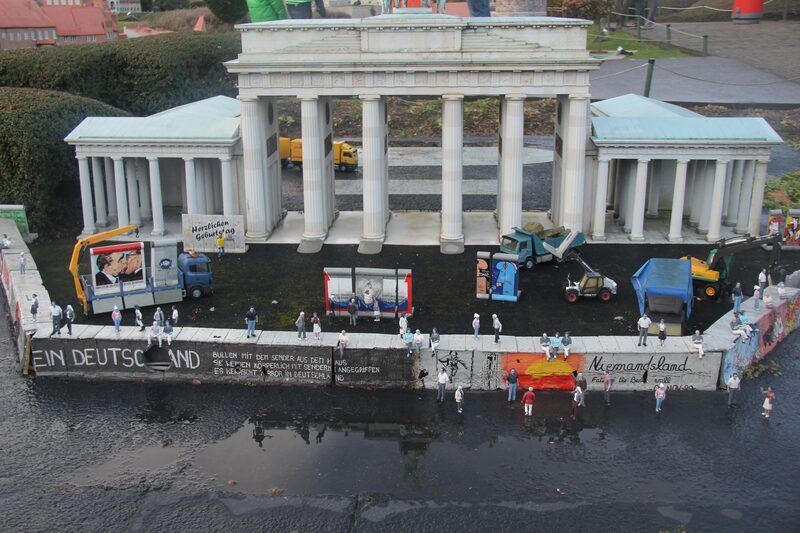 24,000 man hours were needed to build this model. The Temple of Mnajdra in Malta is dated to 3,500 B.C, about 8000 years before Stonehenge was built. 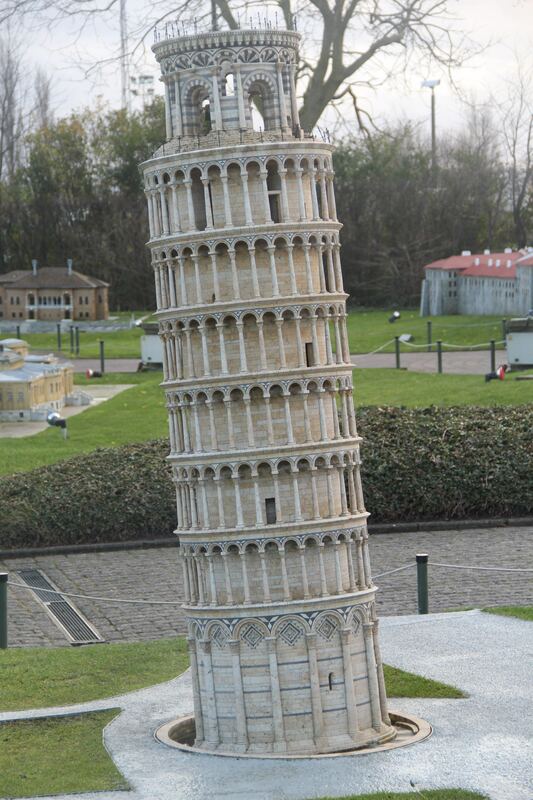 Another easily recognizable landmark — the Leaning Tower of Pisa in Italy. Mount Vesuvius, just south of Naples, Italy is the only remaining active volcano on the European continent. 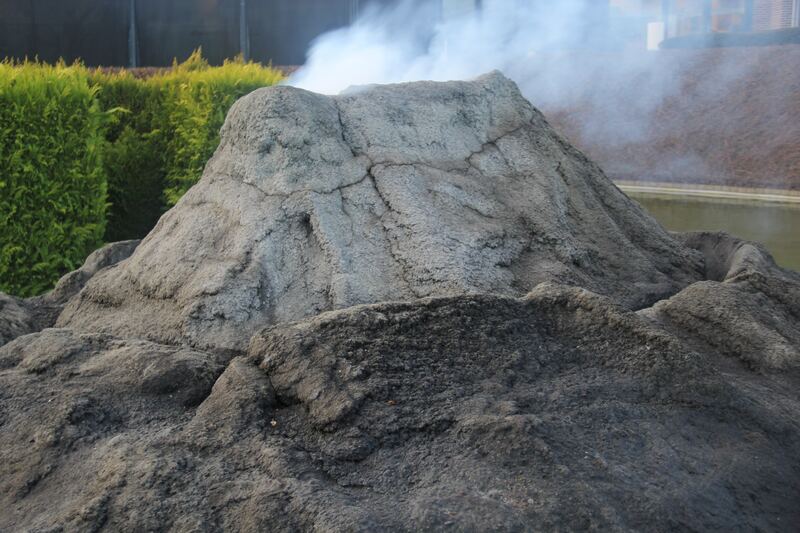 It is famous for exploding in 79 A.D., and destroying the city of Pompeii (one of our favorite places to visit in Italy). 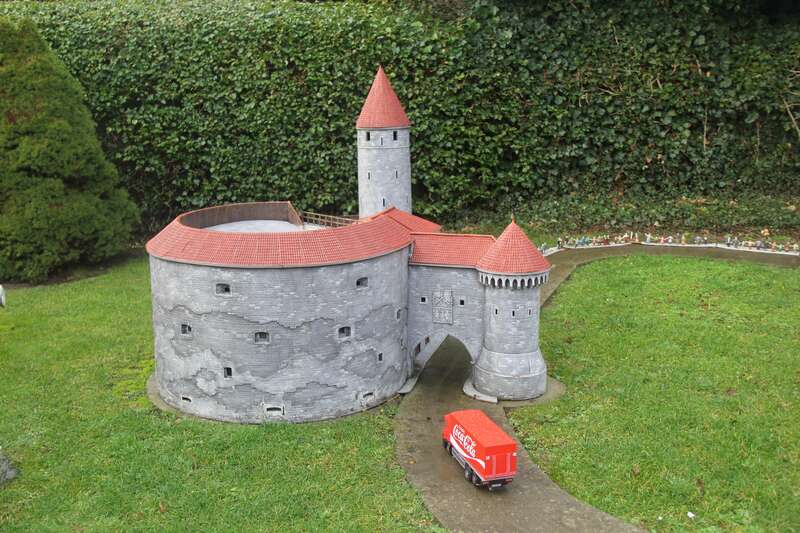 This model had to be made on a scale of 1:1,000 instead of 1:25 for the obvious reasons. Berlin’s famous Brandenburger Gate, the sight of some of history’s most famous moments from the 1918 revolution to the Nazi marches. The gate was severely damaged during World War II and wasn’t fully restored until 2002. 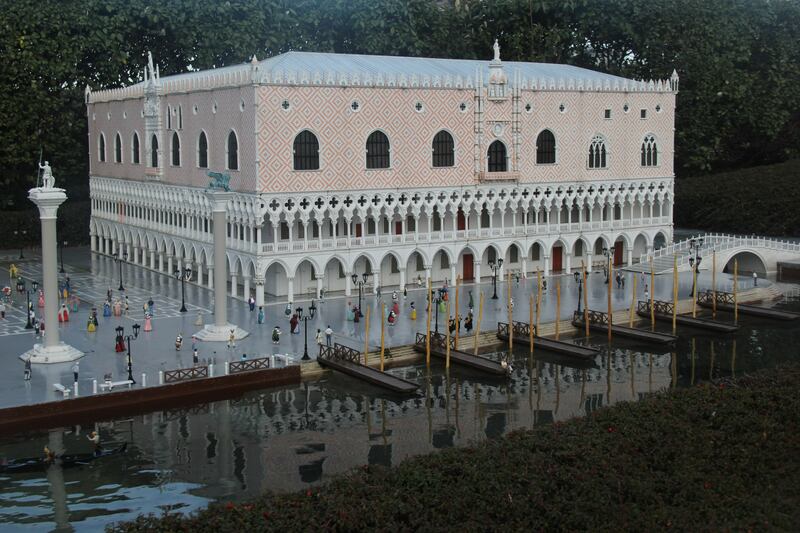 The Palazzo Ducale in Venice served as the residence of the Duke until 1797. I have to admit, we had a good laugh over this model. 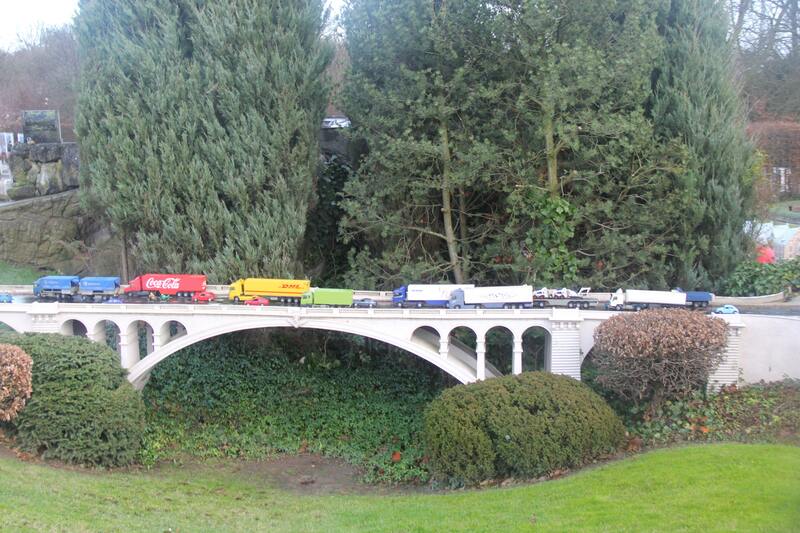 This is the Pont Adolphe in Luxembourg, built at the beginning of the 20th century. 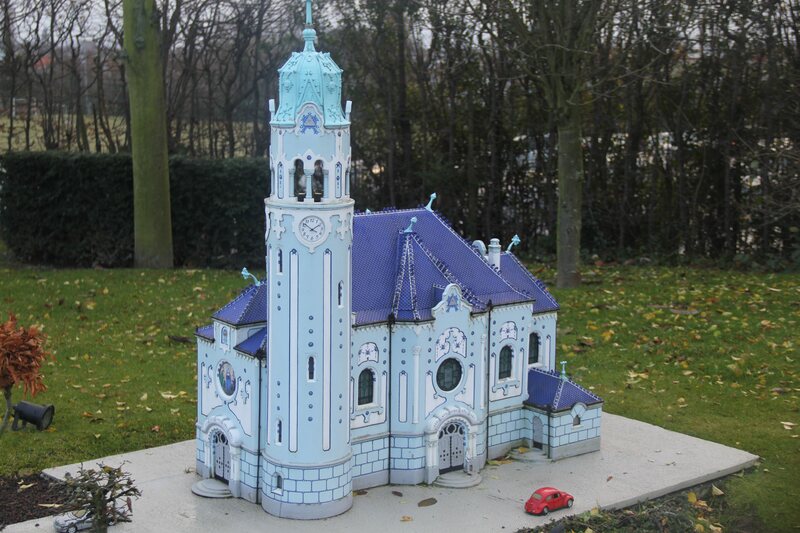 It’s pretty clear that the Mini-Europe folks were struggling to find something — anything — to model in Luxembourg. Eltz Castle in Poland is still owned by a branch of the same family that lived there in the 12th century, 33 generations ago. 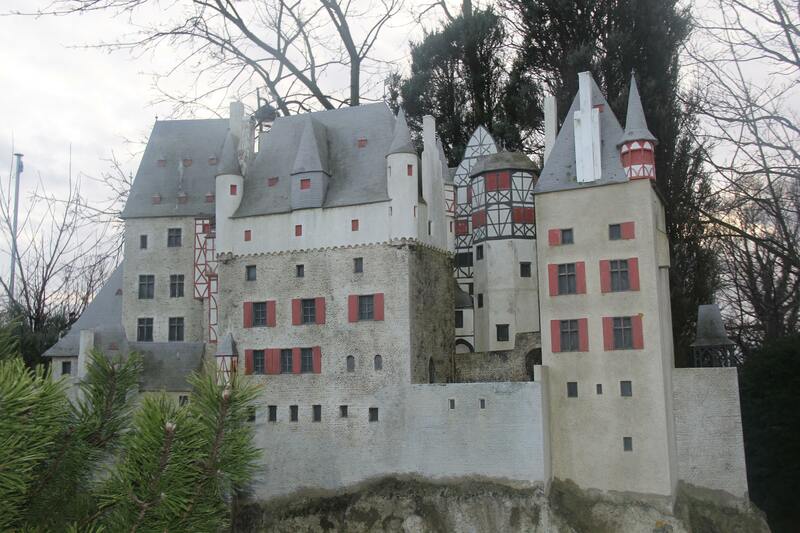 The Rübenach and Rodendorf families’ homes in the castle are open to the public, while the Kempenich branch of the family uses the other third of the castle. The Blue Church in Bratislava, Slovakia was designed in the Art Nouveau style and was built in 1913. 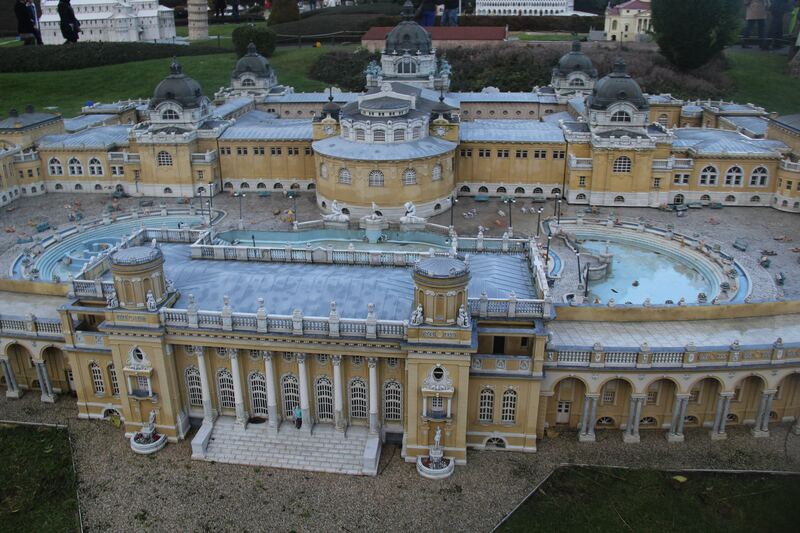 The Szechnyi baths are located in the Varosliget park in Budapest, Hungary. The water is drawn from a spring that is 960 meters deep. 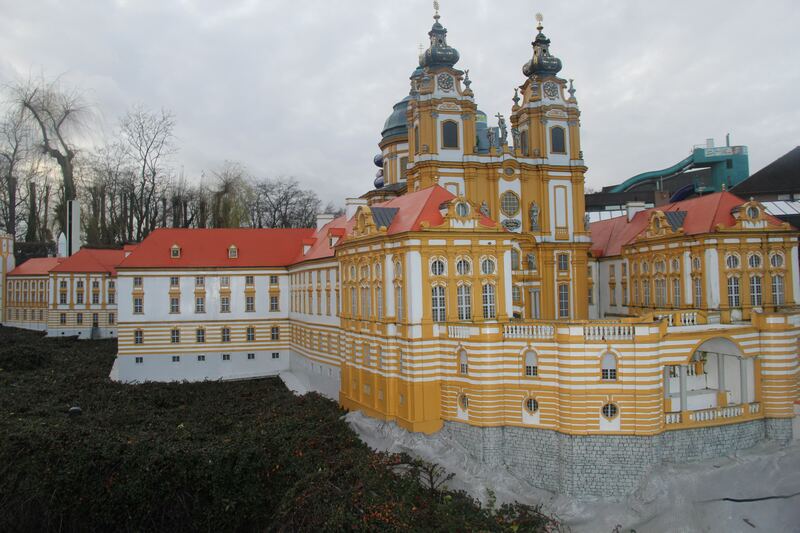 The city of Melk was the first capital of Austria under the Babenberg dynasty and is famous for this 18th century abbey. The Acropolis in Athens, Greece is situated on the highest point in Athens. Built in the 5th century B.C., the Acropolis was used as a as a place of worship. 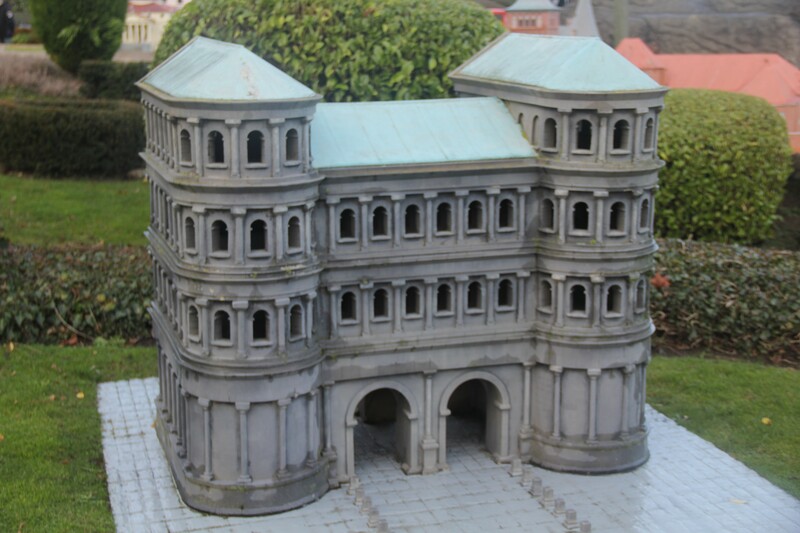 The Porta Nigra is the largest surviving monument from Roman times in Trier, Poland. The gateway was built around 180 A.D. 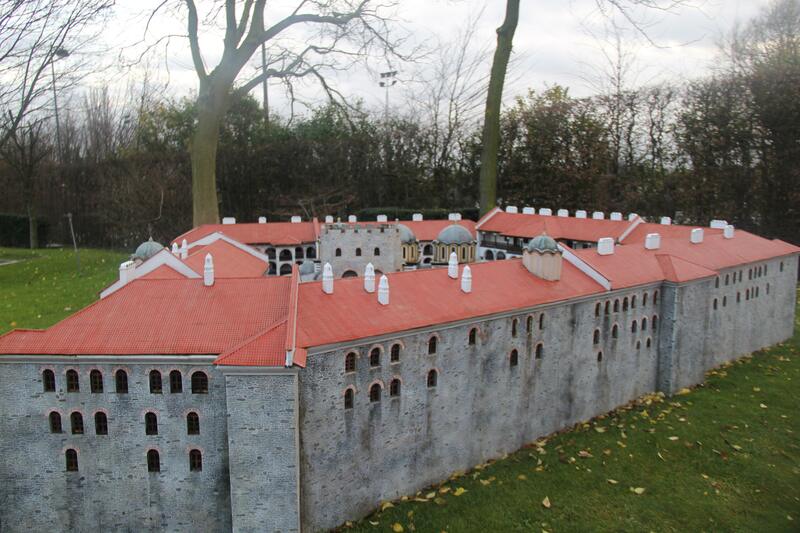 In the 11th century, this fortification was transformed into a two-level church. 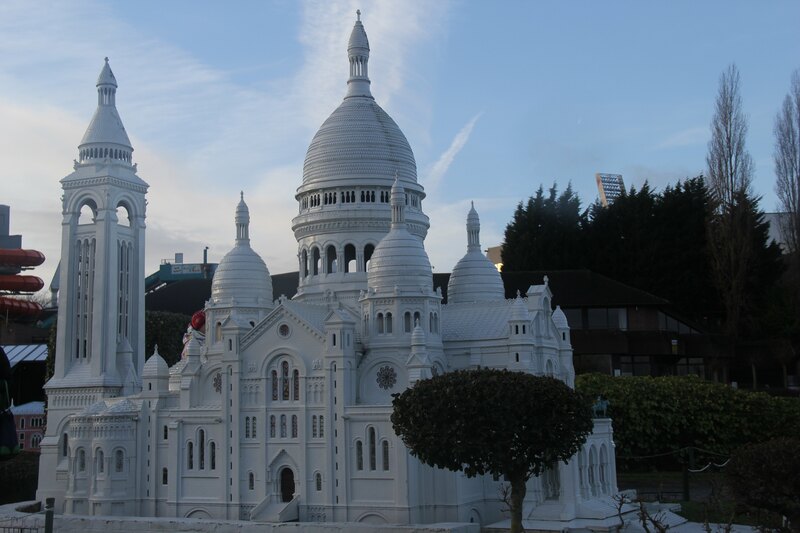 Started in 1875 and finished in 1914, the basilica of Sacre-Coeur is perched on top of the Montmarte hill in Paris. 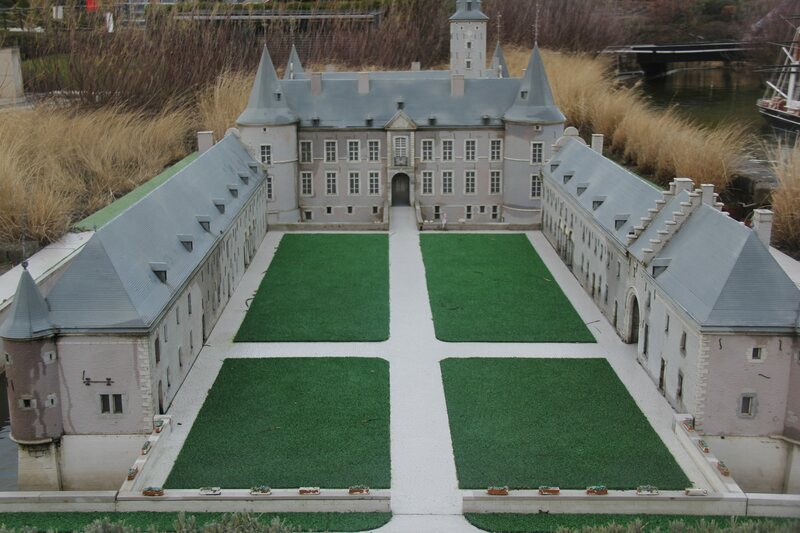 Alden Biesen is a 16th century castle in Belgium, located in the small village of Rijkhoven. It belonged to the Teutonic Order, an order of knights sworn to defend Christianity and minister to the poor. 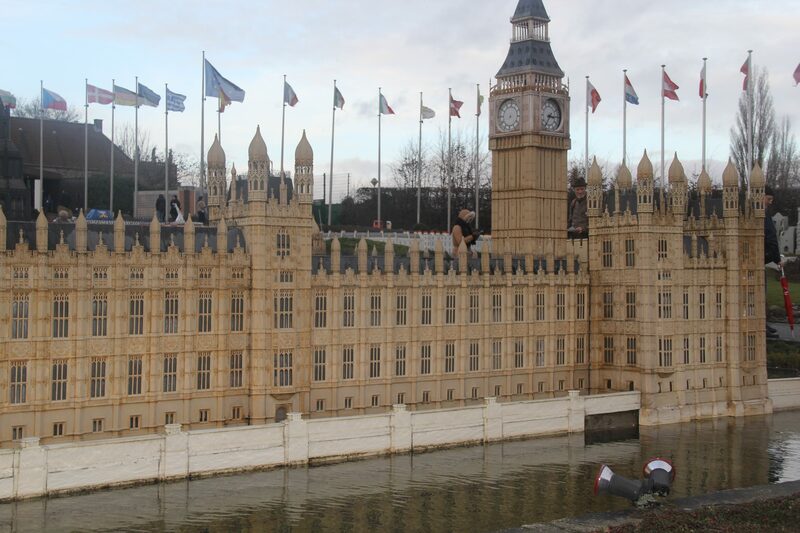 Parliament and Big Ben in London. The monastery of Rila is located in Bulgaria. 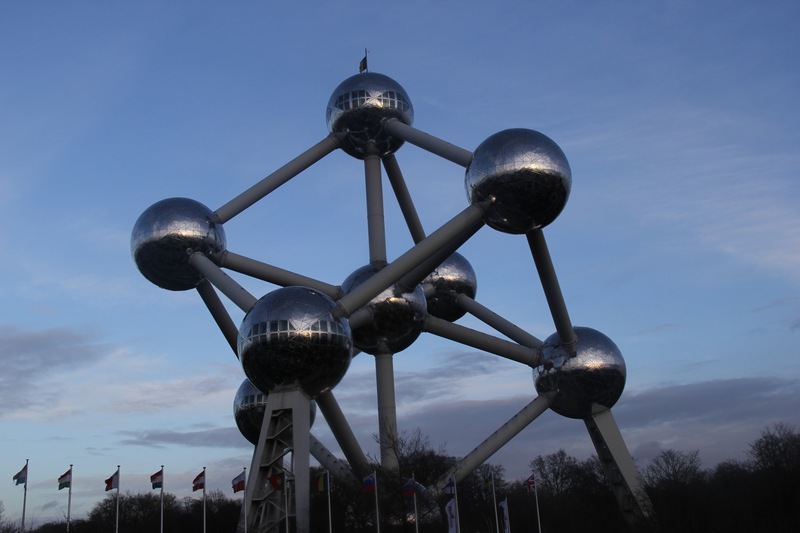 The Atomium was originally constructed for Expo ’58, the 1958 Brussels World’s Fair. 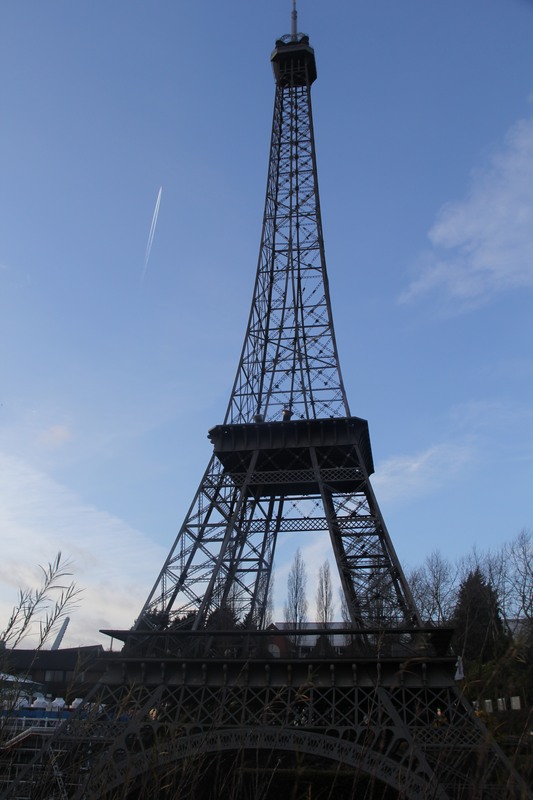 It stands 335 feet tall and you can climb stairs to the top. 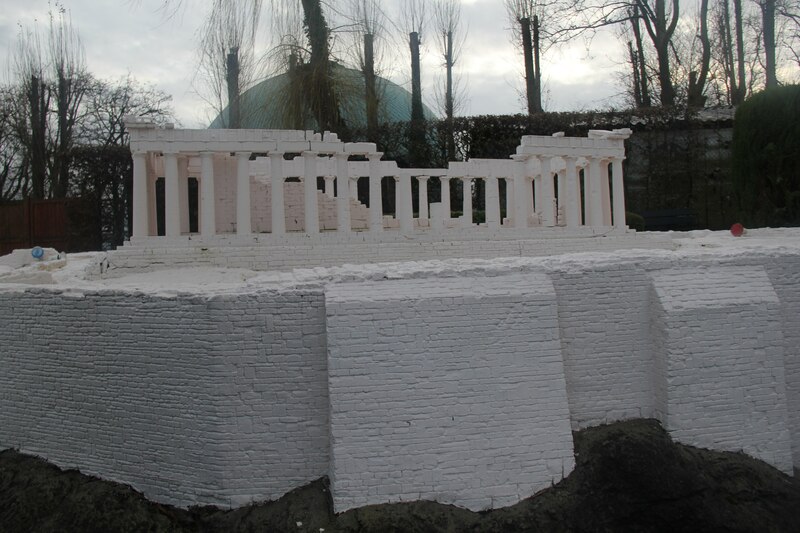 This is not a model, but a separate attraction at Mini-Europe park. Great post. I was checking constantly this blog and I’m impressed! Very helpful information specifically the last part 🙂 I care for such info much. I was looking for this particular info for a long time. Thank you and good luck. Amazing! Its really remarkable post, I have got much clear idea concerning from this paragraph.